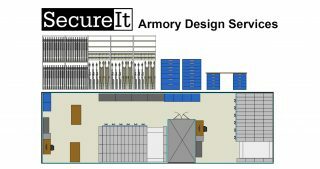 High-density mobile aisle systems are an effective solution to an overcrowded armory. Weapon racks are mounted on carriages that roll on a track mounted to the floor. 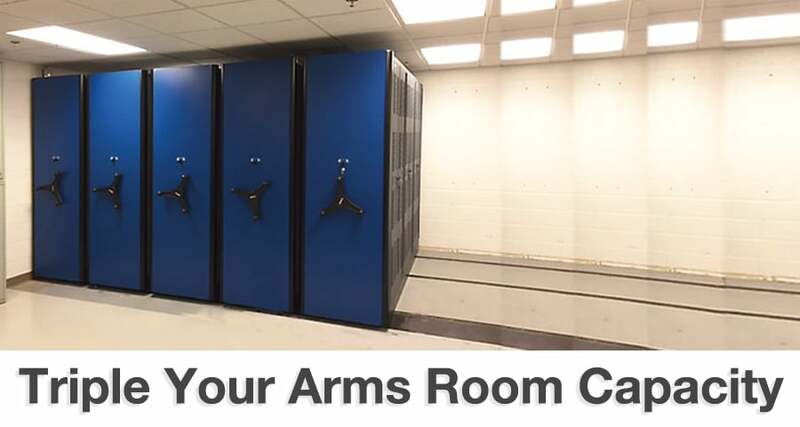 Aisles are created where and when you need them, allowing the arms room to double capacity. High-density mobile aisle systems increase arms room capacity by up to 300%. Made in the USA and built to the highest standards. In typical military armory where growth in weapons and gear is exceeding arms room capacity. 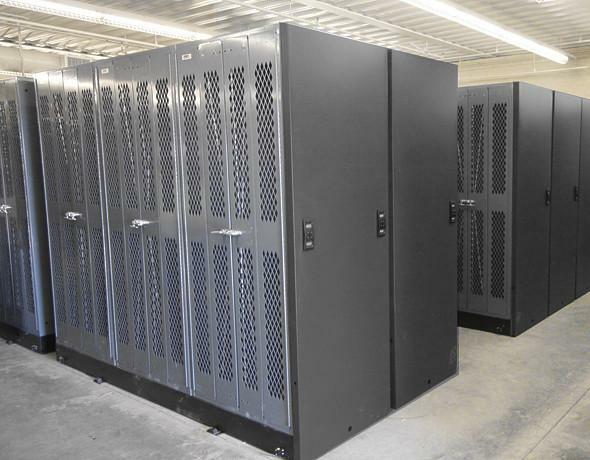 Racks are configured in rows with narrow aisles between them. [See Below] There is barely room for the armorer’s desk. This is a tight difficult space to work in. After installation of a high density mobile aisle system a great deal of room is opened up. We have added 2 large work benches with storage shelves underneath, 2 60″ high 10 drawer cabinets for NVG and other high value storage items and wide span shelving for mounts, cases and other large items. Simply fill out he quote request form or call us to schedule an appointment. 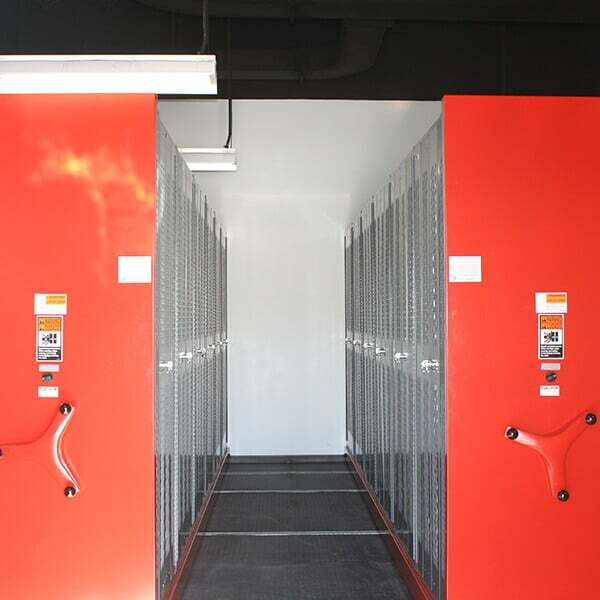 We will have a representative meet with you, go over the details of you arms room and weapon storage needs. The information will go to our Armory Design Group for review. After any questions are answered, you will be presented with a drawing or series of drawings showing you how the high-density system will look and perform. You may have several options to choose from. Our design experts will work with you to make sure you get the best solution. When the contract is issued, you will be send a final design and mechanical drawings for review. Once approved, the system will go into manufacturing. Delivery will normally take 4-6 weeks and will be coordinated with you or your staff. 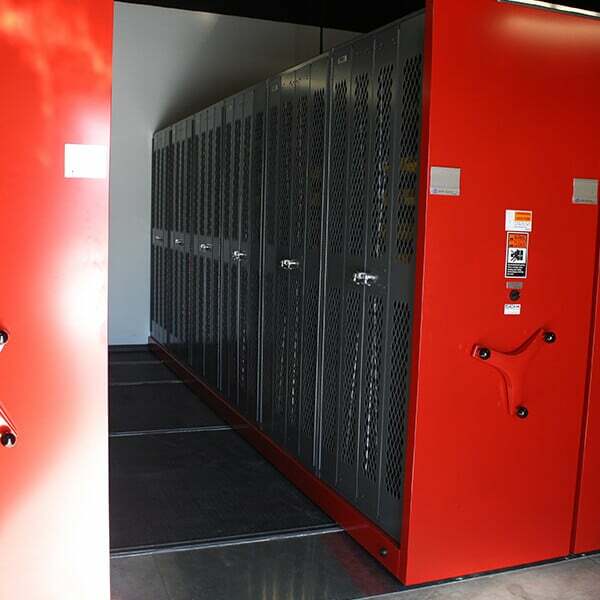 We will schedule an installation crew to meet and unload the trucks, stage all materials, install the high-density system, mount and configure all weapon racks, and do a final walk through with you. We have designed and built hundreds of high density weapon storage systems all over the world. 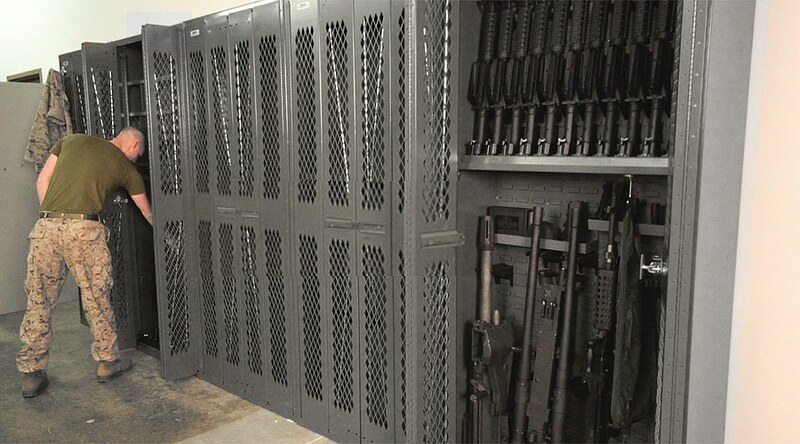 Our weapon storage experience, attention to detail and frequent communication with you about project status will make this a simple process and once completed your arms room will simply work.